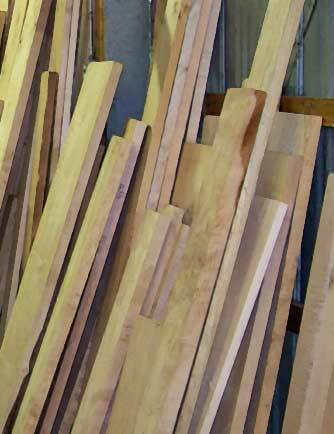 Hardwood Components, Inc. has ample supplies of Big Leaf Maple, Oregon White Oak and Wild Cherry. We also carry Black Walnut, Alder and Ash. Much of our lumber is air dried for up to two years before kiln drying. This reduces the stress in the lumber, decreases the chance of degrade in the kiln and saves fossil fuels by using the natural resources of wind. Patience is a virtue! When you visit our store you will find that almost every board has been pre-priced for your convenience. This makes check out time more efficient and gives you the opportunity to know exactly how much you are spending per board. All of the pricing is based on the board foot and has been pre-measured and calculated to save time. Our prices are very competitive! At Hardwood Components, Inc. we don’t saw our logs for productions sake. Each log is selected out for its most optimized end product. 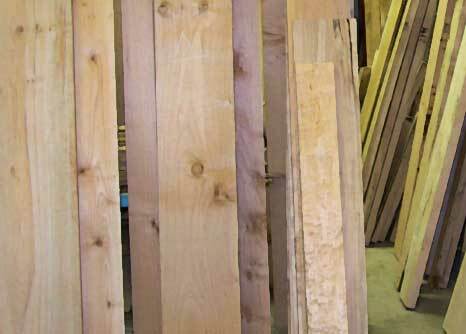 We have logs that make the perfect timbers for industrial uses and ones that will make beautiful mantle pieces, and each are selected accordingly. This practice diminishes almost all waste of our logs. Copyright © 2015 Hardwood Components, Inc.